Hardcover, 9.75 x 11.25 in. / 272 pgs / 233 color / 19 bw. 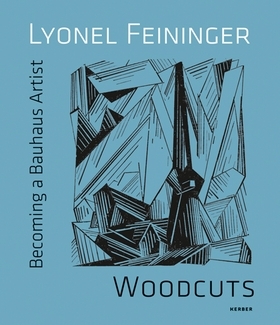 One of the twentieth century's great virtuosos in woodcut, Lyonel Feininger (1871-1956) created his oeuvre in this medium--some 320 works--in a period of just a few years, from the spring of 1918, when he was living in Paris, to the winter of 1920, by which time he had begun teaching at the Bauhaus. 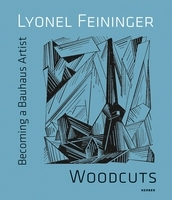 Where Feininger's etchings and lithographs never developed a particularly distinct formal idiom, his woodcuts easily rival his oil paintings and drawings. At once economical and expressionistic, they include nearly abstract depictions of cityscapes (many of them Paris) and townscapes, coastlines, ships and maritime scenes, cathedrals and churches, all realized with a rare combination of precision and effervescence. This handsomely designed book examines, for the first time ever, the complete range of Feininger's woodcuts, evaluating them in the context of his complete oeuvre of paintings, watercolors and drawings. FORMAT: Hbk, 9.75 x 11.25 in. / 272 pgs / 233 color / 19 b&w.